We value all our volunteers! Coaches, Judges, Committee members, Welfare Officers, Volunteer Co-ordinators, Fund Raisers, tea ladies, website designers, car drivers, leotard washers and supporters - you are all volunteers!! Whatever part you play, whether it is in your Club, your County, your Technical Committee or at NEGA or National level, Gymnastics could not run without you! 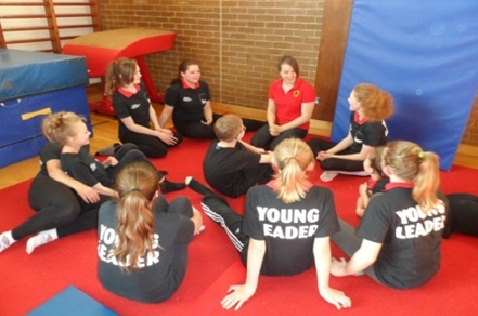 British Gymnastics has appointed a Volunteer Support & Development Manager. His name is Geoff Grant and he is based at Lilleshall National Sports centre. Geoff's role is to keep in touch with volunteers from all parts of the country and to ensure that they receive the support and encouragement that they need. At Club level, each Club Committee is asked to nominate a Volunteer Coordinator. This role will include recruiting volunteers, making them feel welcome in the Club and supporting them in their volunteer role. This could include for example, organising social events and training and generally making sure volunteers are clear about their role. You could develop an award scheme for the volunteers in your Club and nominate your Club volunteers to receive other awards e.g. NEGA Awards, Awards presented by the local press. At Regional level, NEGA will try to include volunteers in an E- network. This will ensure that information, like Newsletters can be sent quickly and easily to more than one person in each Club. Hopefully information will then be passed on to more and more people. NEGA will continue to organise events like the Annual Conference, the Awards Dinner and of course the Awards themselves. Details of NEGA Honorary Awards can be found on the Documents Page. NEGA will also continue to nominate volunteers for other awards such as the British Gymnastics Honorary Awards and the Northern Sport Awards. One of the key ways that NEGA supports volunteers is through the provision of a comprehensive coaching and training programme. Emma Docherty, the Regional Workforce Coordinator has the responsibility for managing an extensive programme. We also rely on experienced volunteers to deliver discipline specific judging courses and to coordinate a wide range of competition and training opportunities. We hope that you enjoy you role as a volunteer in Gymnastics! Volunteers are a valuable and valued resource!